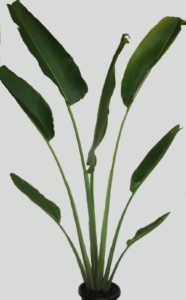 A rhizomatous perennial shell ginger that produces very showy clumps of green and yellow leaves up to 2m in height. An excellent understory plant for the warmer areas, requiring consistent moisture levels to look good. 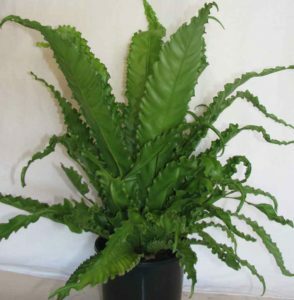 An unusual crowsnest fern with a forking or crested tip to the leaves. 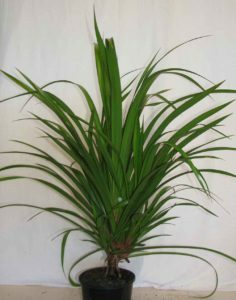 Grows quite okay indoors in a well lit position or in a shady well drained garden. A broad leaf form of crowsnest, which is hardy and yet fast growing. 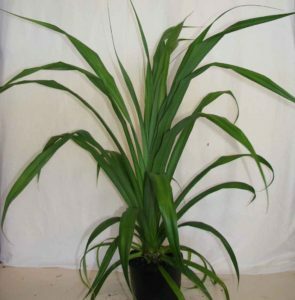 It is most suited for indoors, patios and shaded gardens with minimal watering. A drought tolerant plant with a crown of pendulous strap like leaf on a stem that is quite swollen at the base. This plant makes a perfect patio plant. 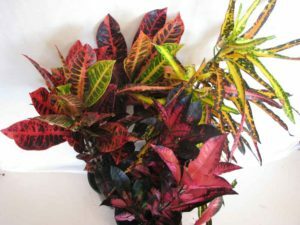 A colourful small shrub grown for its multi-coloured leathery looking leaves. Most cultivars are tropical by nature and grow best in protected part shade position. Water sparingly during winter. 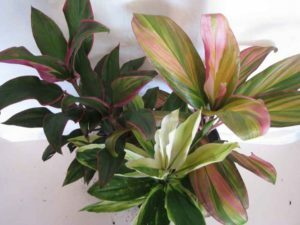 These generally small colourful plants are grown in the tropics for their year round coloured foliage. Cultivars are available in virtually every shade of colour and make an excellent understory plant. 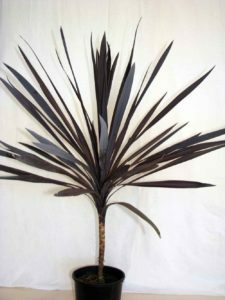 An upright type of cordyline with red-maroon strap like leaves. 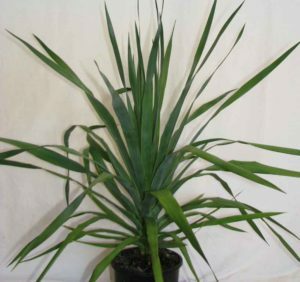 It tolerates full sun exposure and requires a well drained soil. A small branching tree or shrub with cane like stems and trunks producing a crown of black-green coloured strap like leaves. It is best grown in full sun but will tolerate a wide range of light conditions. 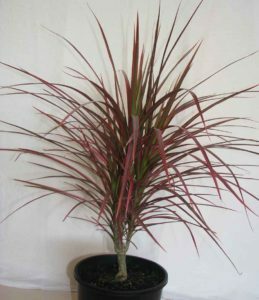 A pink coloured cultivator of marginata, that makes an excellent patio plant or addition to any area of the garden. Full sun is required for best colouration. A light pink, yellow and cream cultivator that whilst not as showy as the colourama it is much hardier and more cold tolerant. An evergreen tree with a thick robust trunk that with maturity branches out to form a generally symmetrical specimen. 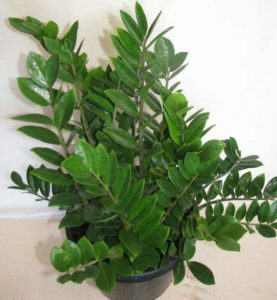 A very attractive specimen plant with bluish-green strap like leaf. 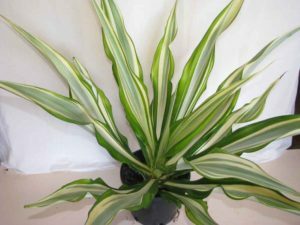 An eye catching perennial with dramatically striped green and cream foliage in an almost rosette form. Makes an excellent specimen plant in a sunny position. Requires little water. 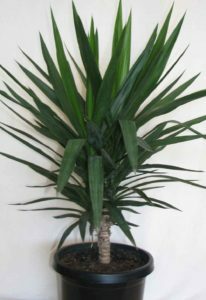 This pandanus has a red margin to its rich green leaves, that spiral up the trunk. It generally branches to form a nice symmetrical shape. Suits full sun to part shade. This compact red leaved grass, growing to 1m in height, makes a great colour splash when growing in full sun. It is best when cut back on a regular basis to allow new growth to show its best colour and form. 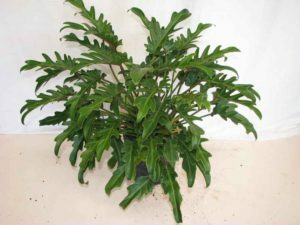 Philodendron - Xanadu 200mm A compact deep green foliage plant that is best used in mass plantings grows to about 1m and is best grown in part shade in warmer climates. 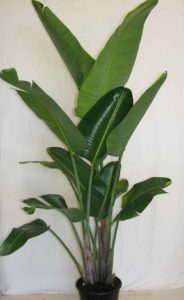 A member of the banana family with long intact leaves that emerge in 2 distinct directions giving the plant a somewhat two-dimensional look. 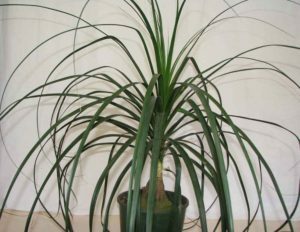 It can grown quite tall and will clump from the base. 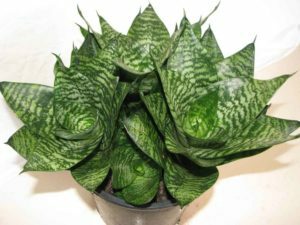 Sanseveria hahnii- dwarf 200mm A compact rosette, which clumps to form a very hardy ground cover requiring very little water, and one that tolerates some fairly harsh conditions. In essence it thrives on neglect. 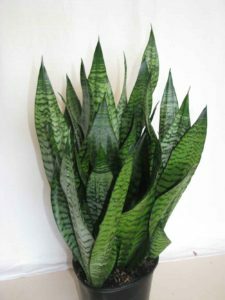 Sanseveria hahnii - Tiger 200mm A short form growing to roughly 30-40cm with leaves 50-75cm in width. 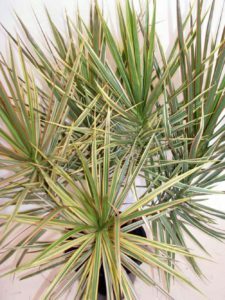 This form makes an excellent patio or tub plant that requires very little watering. 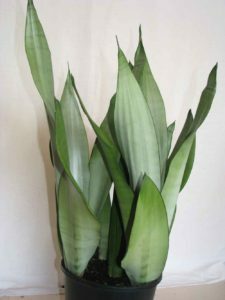 A green and gold variegated form that clumps from short rhizomes to produce upright sword shaped leaves. 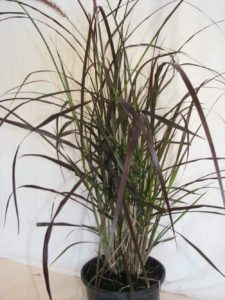 Growing to about 1m in height in makes an excellent pot plant for well-lit areas that receive little water. 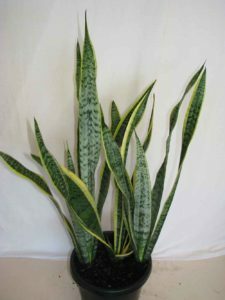 Sanseveria silbersee - moonshine 200mm This variety produces short, thick, silvery grey leaves that at times have an almost velvet look and feel. Great for tubs or as a patio plant. 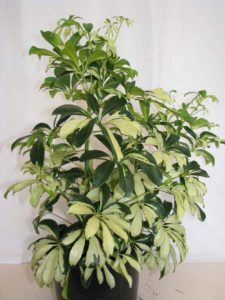 A hardy variegated form of the umbrella tree. 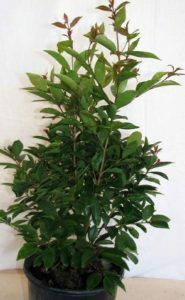 It branches well and forms a dense bush, giving best results in a part shade environment. Great indoors or on patios. These shade-loving plants form clumps of glossy, dark green leaves, with white cobra shaped flowers. 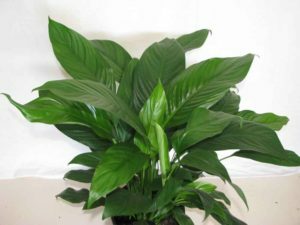 Each variety has subtle differences but all make excellent indoor plants. 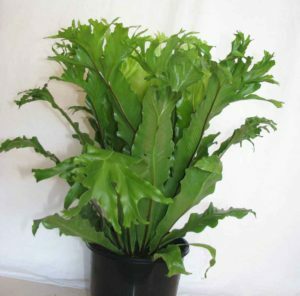 A tall clump forming variety producing long broad entire leaves on its trunk up to 6m in height. A great screening plant producing large flowers white and blue in colour. 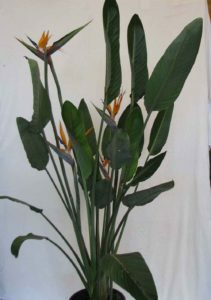 A clump forming plant to roughly 1-2m in height, the leaves are broad and bluish-green in colour on a long stem, giving rise to striking orange and blue flowers. Best results in full sun and in well watered positions. A naturally compact type of lily pily that is an excellent choice for hedging. This shrub produces glossy green leaves that emerge as bronze/red in colour, giving the plant a reddish glow. 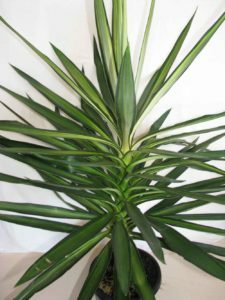 A slow growing small tree with a rough sturdy trunk giving rise to a rosette, sword shaped, leaf. It makes a very ornamental and hardy potted plant for well lit areas. 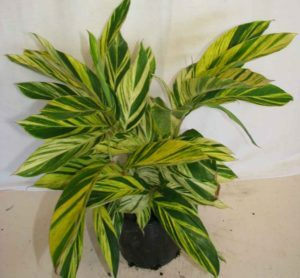 A green and gold variegated form that is both hardy and colourful. It makes an excellent tub specimen. 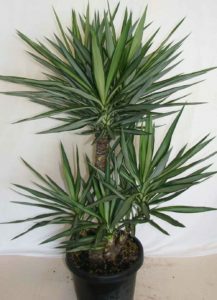 A grey variegated form of Yucca elephantipes. 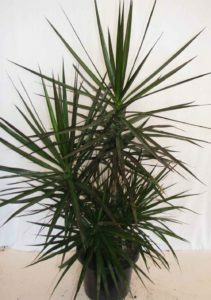 This selection makes an attractive potted specimen and as with all yuccas it thrives on very little water. The ultimate “thrives on neglect” house plant. 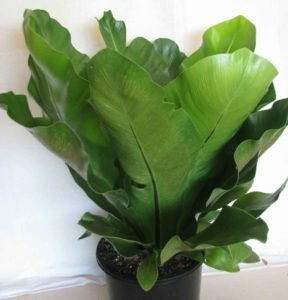 It produces clumps of glossy green pinnate leaves up to 1m in height arising from underground corns. Zanzibar Gems grow quite readily in very low light situations provided they are kept relatively dry.